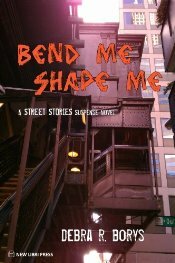 As part of the promotion I was during earlier this year for Bend Me, Shape Me, I wrote a guest post for Digital Book Today about how difficult it is to let go of our “things.” I did manage to pare down my worldly possessions enough to fit them in a small U-haul box to be carted across country. Now I am dealing with that same decision-making angst as I slowly empty out a storage unit I have had here in Illinois for fifteen years. What if all you owned fit in a shopping cart, or a backpack? What if you left it under a bridge while you went searching for food, housing, or a job and the police found it and threw it all away? I hope you will click through to read the whole article. via Worldly Possessions or Hoarding? – Digital Book Today.